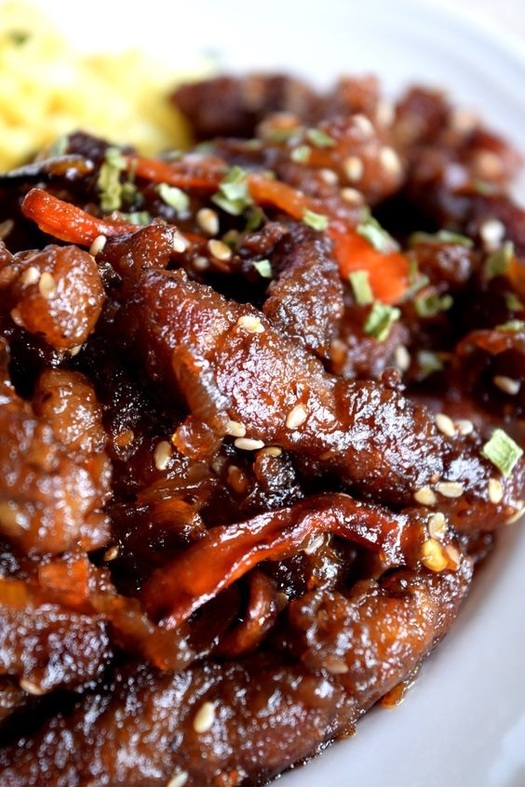 Tenderized cuts of beef, fried until crispy, and coated in a garlic and ginger sauce – 30 Minute Ginger Beef is an inexpensive dinner the whole family will love! Toss the skirt steak with the corn starch in a large bowl and set aside. Over medium heat, add the vegetable oil and onions to a sauce pan. Sauté for two minutes until onions are translucent. Add the carrots to the onions and sauté for 3-4 minutes until tender.